It is the era of entrepreneurs, startups, and franchisees, not everyone is capable of building an enterprise from scratch, and ideas take time to get into shape, the process is hard but success is not guaranteed. When the franchisee is buying a franchise, it is not just buying any business but he/she is buying an experience of years. The franchising company has become capable of spreading his/her business because the business has created its own demand in the market and has its own set of customers. So the franchisee has to respect the experience and hard work that has gone into making it what it is today. The best part about buying a franchise is that one does not have to roast himself/herself during the process of making his/her business into a brand, the franchisee will have to work under someone’s guidance and all the training will be given by the parent company. The parent company will take care of all the legal matters and will help in finding solutions to problems because they believe in growing together, as they have their brand name attached to your business, they cannot take the risk of causing it problem since it is their company first. While developing own business, one can never be sure if the business will pay off but since it is your idea and you have believed in it, you will have to pour your heart, money, energy and time in bringing it up. But in case of franchising the risk is zero and you can be sure of getting initial advantages which is you fail to continue, might see the end of it. 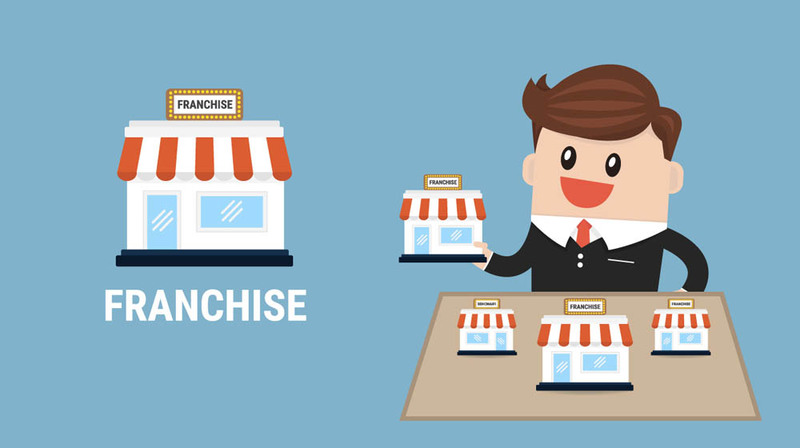 In most of the cases, the result has always shown satisfactorily and it is one of the reasons why franchising is popular among the businesses. It takes time to build trust among the public and form a customer’s base for entrepreneurs and startups, whereas in case of franchising the franchisee gets his share of customers, based on the trust they have for the parent company. Moreover, for marketing and advertisements, the parent company bears all the cost, which is an extra investment for the entrepreneurs and startups. You get a customer base, who are well aware of your product and services even before you have bought the franchise. Since the parent brand will be well recognized, you can get the advantage of this, like in asking for a loan, looking for investors and customer response to new innovations. The parent company can help you get the initial investments from the bank and if you encourage other people to take up franchising way of doing business other than your territory than you get the advantage and recognition from the parent company. If you happen to attract investors on your own the parent company will take notice of your work and you can get the benefits of it.